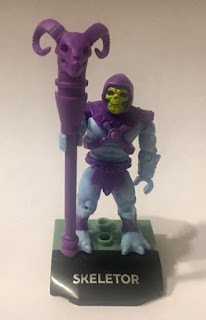 This is my review of the new Skeletor from the Mega Construx Heroes Masters Of The Universe line. 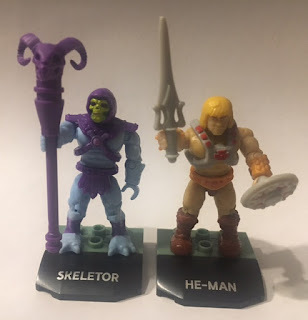 Skeletor is part of the Mega Construx Heroes wave 1 release along with He-Man who I already reviewed here. 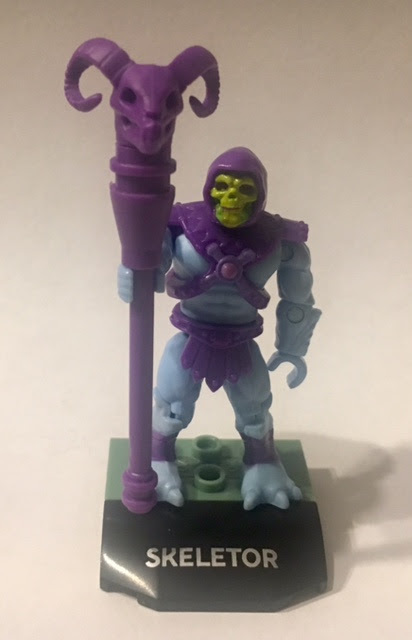 Like He-Man Skeletor has a total of 22 pieces. Skeletor comes pre assembled as does his staff. The base is three pieces that you have to put together but I think you can manage. He-Man is listed as 22 pieces but he has a two piece shield so I'm not sure where Skeletors extra pieces are because their bodies look to have the same amount of parts? 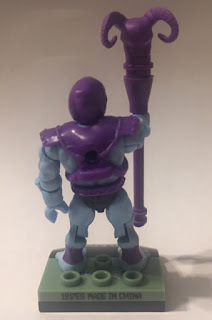 I like Skeletor and hope that the Mega Construx Heroes like adds more Masters Of The Universe characters in future waves. I give Skeletor a 7 out of 10.